Neasa Hourigan says it sometimes can be hard to navigate the bikes that are chained to the railings and footpaths around the Cabra and Phibsborough Luas stops. 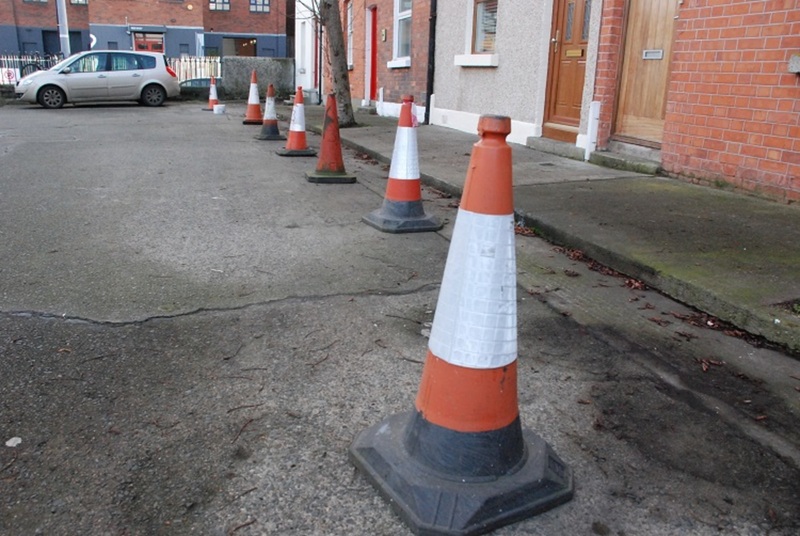 The Green Party candidate for Dublin Central wonders whether there is a delay and the cycle parking is on its way – or if it’s a general indication of some kind of north-south divide in the cycling facilities that are on offer across the city. The most up-to-date geolocated data available from Dublin City Council dates to November 2016, and it does suggest there is a divide in the city when it comes to public cycle parking. Rather than a straight north-south, though, it seems to be more east-west. A Dublin City Council spokesperson says that the council has plans to increase the public cycle parking across the city by more than 40 percent in the coming year – but didn’t respond to queries asking how they are going to work out where to put the new parking spots. Where Is the Parking, Now? The Dublin City Council data mapped above is a bit old and patchy. But it shows roughly 2,170 Sheffield stands, blue hoops, and railings across 396 locations. 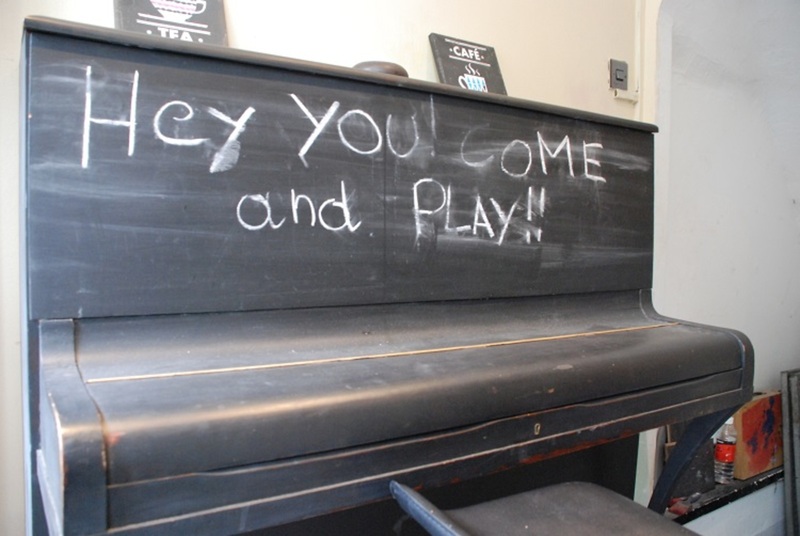 There are blank patches around the Liberties, Kilmainham, and Dolphin’s Barn. Stoneybatter, Phibsborough and Cabra also seem pretty empty. According to the council spokesperson, there are now approximately 2,300 Sheffield stands – the metal tubes bent into a square arch – in the city at the moment. In 2017, 92 were installed. It’s unclear whether the council data is just for cycle parking between the canals, or for the entire Dublin City Council area. The press office didn’t get back to that query. It also seems not to include the cycle facilities in places such as the Drury Street Car Park, or DublinBikes stands, and doesn’t account for stands that were taken out for the Luas works. But “it is anticipated that a minimum of 1,000 additional stands […] will be installed in 2018,” the spokesperson said. That’s 2,000 bicycle parking spaces, if the bikes are parked side by side. Claudine Chen of the Dublin Cycling Campaign said that cycling advocates are working on a way to crowdsource information on where cycle parking is needed. She and others from the campaign have met with the team at the social enterprise Space Engagers, and talked about using their mapping app to gather the data. They’re hoping to launch the survey in a couple of months, and to double-check the council data on what cycle parking is out there, too. She said they’re hoping to meet with an official at Dublin City Council in the next couple of weeks. “We’re not sure if they actually want this data, if they’re going to act on it. But I guess it’s still interesting for the campaign to know, so that we can at least campaign for these locations and inform them,” Chen said. There was one bike locked up against the pole of a road sign outside the Phibsborough Luas stop on Friday, not far from where, at the elevated entrance to the station, Tom Reynolds was using a machine to get a ticket. He lives nearby so he had walked over to the station, he said, but he would also be worried about the security of locking up a bike if he had to cycle over. “The bikes would probably get nicked,” he said. There’s also the question of where to put any cycle stands. “There’s literally nowhere,” said Fionnghuala Burns, beside him, glancing around. Some passengers at the Cabra and Phibsborough stops were conscious of the lack of bike parking; others said they hadn’t really noticed. 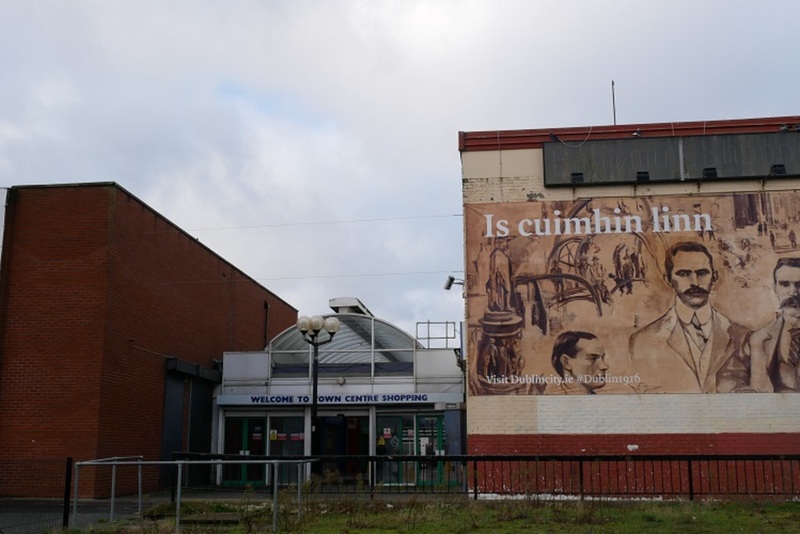 Hourigan said she isn’t sure where – now that the stations at Phisborough and Cabra are already built, and given that they are tight for space around the old trainline – the bike parking would go around there. “I don’t see that there’s a particular location for it,” she said. There’s Mount Bernard Park right beside the Phibsborough stop, but that’s soft ground, so they would have to build an area within that, she said. A spokesperson for Transdev said that it would be up to Transport Infrastructure Ireland (TII) to decide what cycle parking would go in at Luas stations. A spokesperson for TTI said its list of cycle parking on its website is up-to-date at the moment. On the new line, “several new bicycle stands were installed adjacent to Broombridge Stop” and the Broadstone Gate scheme next to the Broadstone stop will also include new bicycle stands. TII did look at putting in cycle parking at Phibsboro and Cabra, but found that “the footpaths in these locations are too narrow for locating new bicycle stands” and that “bicycle stands cannot be accommodated on Luas platforms as they would inhibit passenger movements”. The footpaths are Dublin City Council territory, so it would be up to officials there whether bike stands are put in, they said. A Dublin City Council spokesperson said that to meet the council’s plans and put in another 1,000 stands in 2018 would probably require taking away at least 200 on-street car parking spaces to make room. If the council presses ahead and goes for a bigger target, which is possible, of 1,500 stands, then that would mean taking away at least 300 on-street car parking spaces, she said. Under the Dublin City Development Plan, there is a commitment to provide Sheffield stands near the entrances to public buildings such as schools, hotels, libraries, or theatres. That plan also commits the council “to review availability of bicycle parking facilities at neighbourhood centres with a view to addressing any shortfall through provision of Sheffield-type bicycle parking in the immediate vicinity as required”. 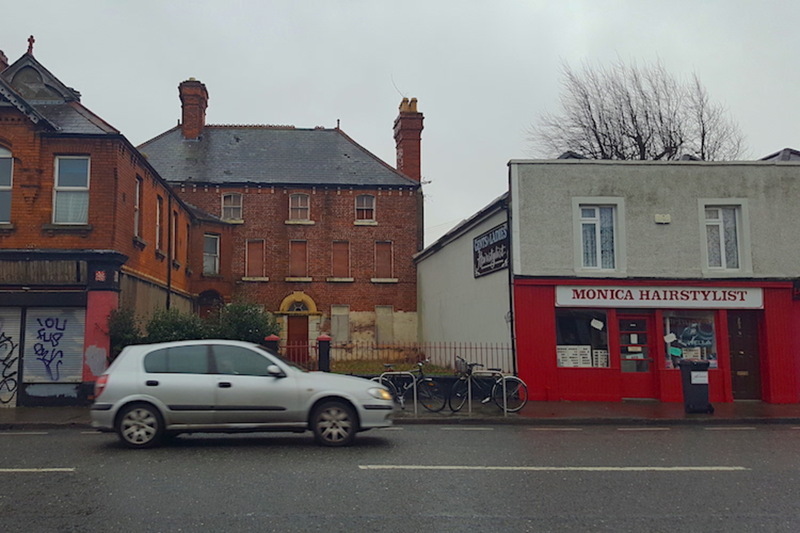 That includes the “neighbourhood centre” of Harold’s Cross, which appears to be a bit of a cycle-parking desert at the moment. There are four stands not far from a hairdressers on Harold’s Cross Road. But none in the village or around other shops, says Ian Carty who lives in the neighbourhood and wrote to the council at the end of September to ask for some stands to be put in. “We haven’t heard anything back, really,” he said. As he sees it, the neighbourhood has lots of development coming down the line, and having cycle parking would encourage people to get on their bikes, rather than add to the congestion along the route through the neighbourhood. “It’s up-and-coming, it’s expanding,” he says. On Tuesday, at the Five Points café on Harold’s Cross Road, owner Adam Sheridan says he has been meaning to write to the council to ask for cycle stands to be put in. A customer brought the deficit to his attention, and he has his eye on a large corner of pavement over the road opposite. 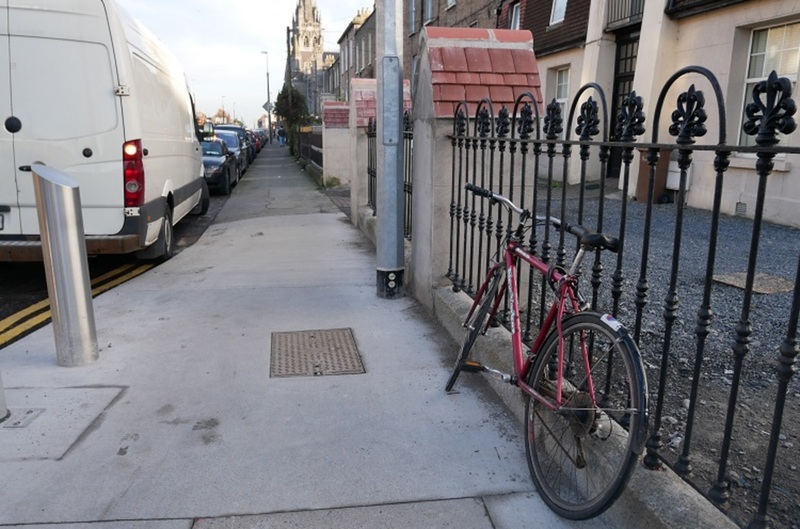 In many cases stands are installed very poorly throughout Dublin – either side on where there is already next to no footpath space or even at 45 degrees and people bang into the bikes walking by and there are only 2 stands, where 4 could easily fit. Many are also too close together and you can’t get in to take a bike out. DCC have been actively removing bike stands from in front of libraries I notice. So much common sense and fairness in this article. Take heed DCC! Their planning department hasn’t been proactive in insisting on putting cycle parking at any new commercial retail premises despite their own guidelines specifying it unless someone raises it as a planning objection which you have to pay for each time. That’s extremely irritating.